Rocker Slash's estranged wife Perla Ferrar has fired back at his allegations their marriage wasn't legal. The GUNS N' ROSES guitarist filed for divorce from Perla, his wife of 13 years, in December, 2014. He cited irreconcilable differences in the petition and requested joint physical and legal custody of their two sons, London, 14, and Cash, 12. According to TMZ.com, Slash is now reportedly claiming they were never technically married in the first place. 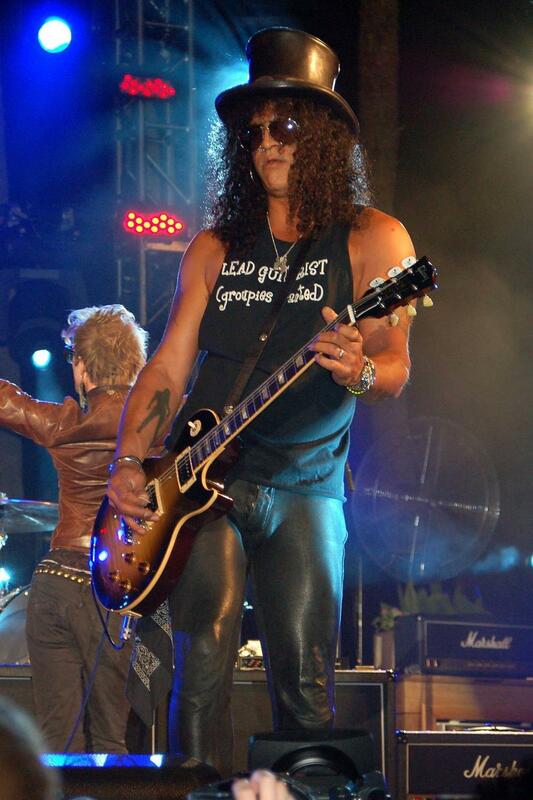 In response, Perla told the gossip website on Tuesday (01Nov16) she was blindsided and hurt by Slash’s allegations. “News travels fast doesn’t it? You know what, I have no idea why (Slash is making the claims),” she said. Slash, 51, has reportedly appealed to a judge to confirm that Perla, 41, was never legally divorced from her first marriage when they tied the knot in 2001. Perla had married a man named Carlos Marty in 1993, but the union would prove to be a brief one. She filed for divorce just a month later, and believed herself single when she wed Slash. Perla claims the problem was resolved in 2009, when a judge retroactively made her divorce valid dating back to 1994. 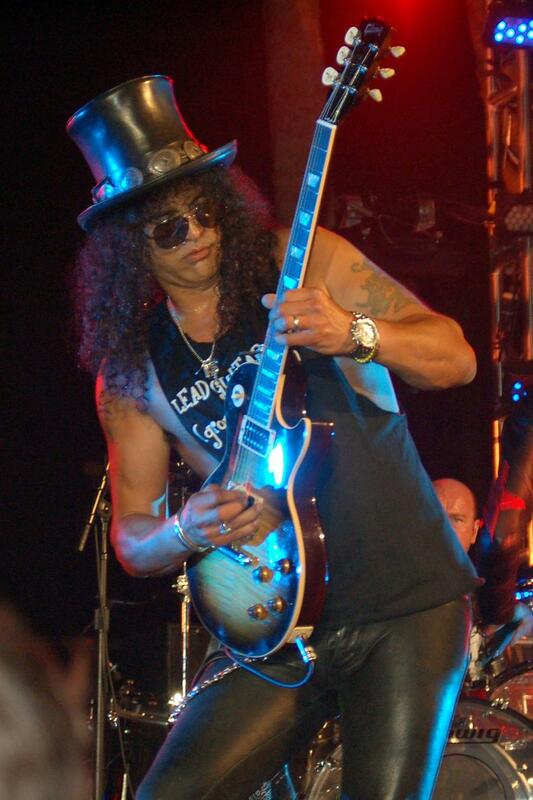 But as their own divorce acrimony continues, Slash, real name SAUL HUDSON, is seemingly trying to use this legal technicality to prove the couple were never lawfully married, and denying Perla's claim to half of the millions he earned during their union. Slash previously filed for divorce from Perla in 2010 but they reconciled two months later and renewed their vows in 2011. He is now in a relationship with Meegan Hodges, whom he previously dated from 1989 till the beginning of the 1990s.